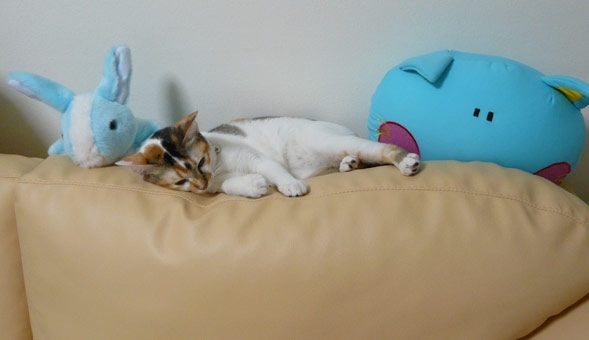 ....with our new sofa and her new companions - Blueberry (the rabbit) and Cheshire (the blue cat face). The new sofa arrived on 15 Jan and she hasn't scratched it since. 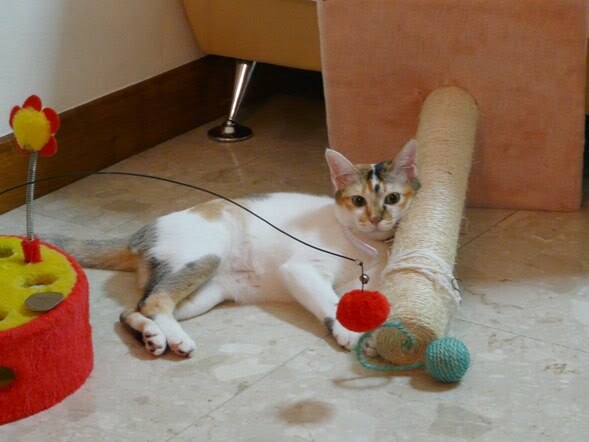 Thanks partly to the new (strategic) re-arrangement of her two scratching poles flanking her and distracting her from the sofa (see below).